Music has the power to alter the way we taste, smell and experience the world around us. It can even change the way we interpret information. Here are 3 crazy case studies that prove music is an invaluable tool for engaging an audience. In our last music post we looked at how interpreting the mood of music is an instinctive human trait. What's amazing is that it’s not only our moods that are affected – it's our perception of reality too. Mad scientist/ celebrity chef Heston Blumenthal has conducted several experiments using sound and food over the years. In one experiment he gave people egg and bacon flavoured ice cream while playing the sound of either farmyard chickens or sizzling bacon. Those that heard the farmyard chickens reported tasting more of an egg flavour, and the bacon sizzlers tasted more bacon. The ice cream itself was the same – the sounds made the diners perceive a difference that wasn’t there. In a second experiment, Blumenthal served identical oyster dishes to his guests. One was served in a wooden basket and accompanied by sounds of the sea – gulls and gentle waves. The other arrived with the sound of the farmyard and was served in a petri dish. The result? Customers enjoyed the sea sound oysters significantly more. The results were so good that Blumenthal repeated the concept for his signature seafood dish – oysters served with a sea-shell containing a secret iPod that diners are encouraged to listen to while they eat. Music is a powerful medium that we can use to help our audiences make associations, and to enhance their enjoyment of our content. It makes sense that hearing the sound of a chicken would make you think of eggs. But could more abstract noises have an effect of taste? Recently, Oxford University discovered that high pitched noises can bring out sweet tastes, while lower pitched sounds can emphasise bitter sounds. To experience them properly, put headphones on and get something to eat or drink that has sweet and bitter notes. We find it works well with a cup of coffee. Changing between the two sounds as you taste, you should notice a difference in the balance of flavour, and possibly where the sensation of taste is located in the mouth. Some concepts transcend sensory boundaries. In the first video in this post, Blumenthal provides the example of the word 'sharp', which can be used to describe the taste, sound, look and feel of something. By factoring sound into our content strategies, we'll have a whole new means of cross-sensory communication at our disposal. And our messages will be that much stronger for it. Music is so emotive both the BBC and American press institute have guidelines about not using music in journalism as its too powerful and can lead the viewer’s emotions in a dishonest manner. It can even influence the way we interpret factual information. Light music that fits the tone of a feature story can enhance a video ethically. Using music for dramatic effect in a serious drama may be manipulative or emotional in an inappropriate way. The more serious or sensitive the story, the more careful you should be in using background music. – American Press Institute Guidelines. You are changing what you’re representing, and if you’re changing it, it shouldn’t be there. I think this whole issue of enhancement is really dodgy. – Fiona Anderson, Assistant Editor of Training and Development at BBC News Gathering. The very reason they don’t use music is the reason you should– to get your message across in a moving and memorable way. 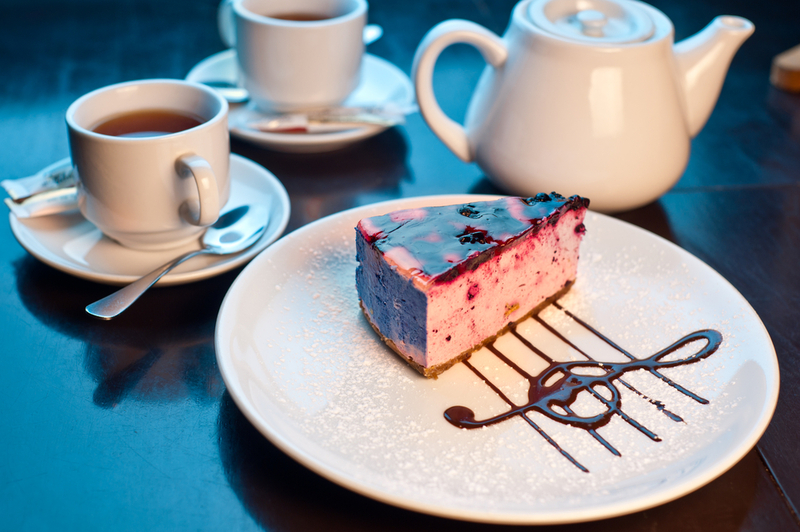 Sound impacts the way we process other stimuli – from subtle suggestion to changing the way a whole dish tastes. It alters our emotional responses and makes experiences more three dimensional. Adding sound doesn’t just provide a soundtrack to the experience – it amplifies it. And you can use this effect of sound to make your presentations, pitches or videos more potent. For example, imagine you are delivering a presentation about deforestation. You begin by using jungle sounds in the background – the sound of trees in the breeze, bird calls and rustling wildlife. The sound acclimatises your audience to the environment you're describing and it starts to sound natural to them. They experience a little of the beauty of the jungle for themselves, in a far more immersive way than using pictures alone. They begin to empathise with the plight of the jungle creatures. Then, as you describe the illegal loggers moving in, you could use discordant machine noise to represent the diggers and saws. Perhaps it increases in intensity as you describe the devastation. You might have to raise your voice over it to be heard. Finally, the sounds fade to silence and your audience is left with feelings of anger and loss. This would make a massive impact on your audience compared to a presentation that relied on words and pictures alone. You have the power to make your audience feel far more deeply than they would have without the sound. Keep an eye out for more posts exploring the psychology of sound.